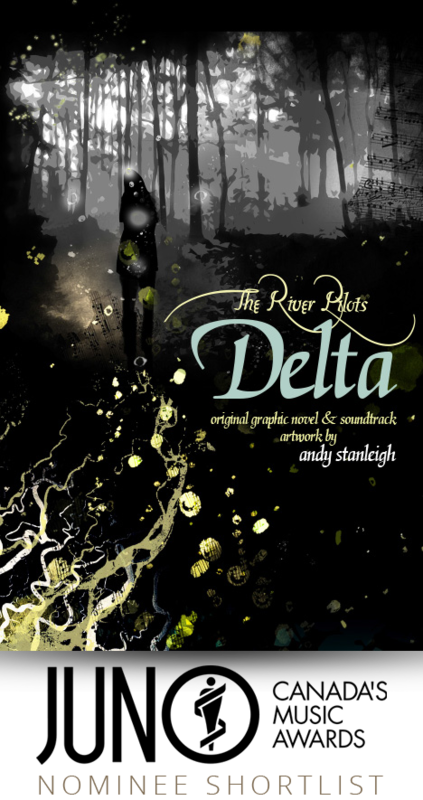 The River Pilots’ Delta – AH Comics Inc. 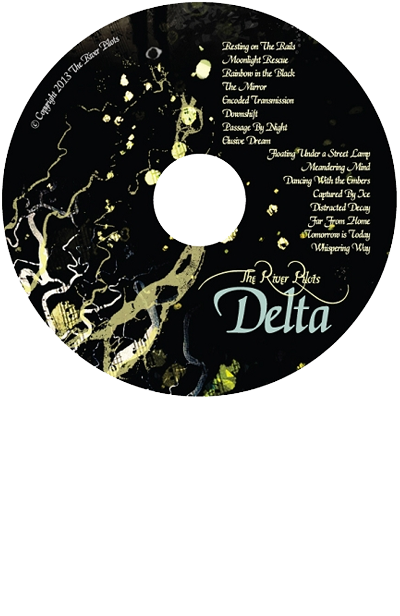 The River Pilots’ Delta is both a literary and musical experience! 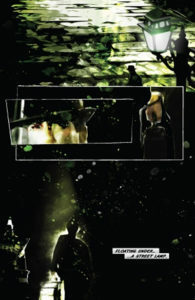 This 20 page graphic novel/album combination was illustrated by Andy Stanleigh (Titan, Hobson’s Gate) in collaboration with The River Pilots – an instrumental jazz quartet with an eclectic sound that will take your imagination on a journey across the globe and beyond. The River Pilots‘ debut album, “The Unexpected Adventures Of…” reached the top 10 on the Canadian College radio Jazz charts in 2008 and was nominated for Best World Music Song, and Best Country Music Song at the 2008 Ontario Independent music awards. They are lead by Todd Porter, a Juno Award nominee, joined by the extremely talented and accomplished Tanya Porter, Carlie Howell and Michael Hurwitz. 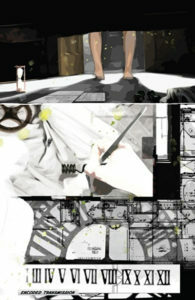 For more information about The River Pilots check out www.riverpilotsmusic.com. 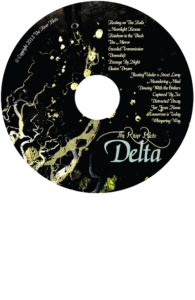 Delta the graphic novel comes packaged together with the 16 track studio album, and is meant to be not so much a story, but an all-encompassing experience. 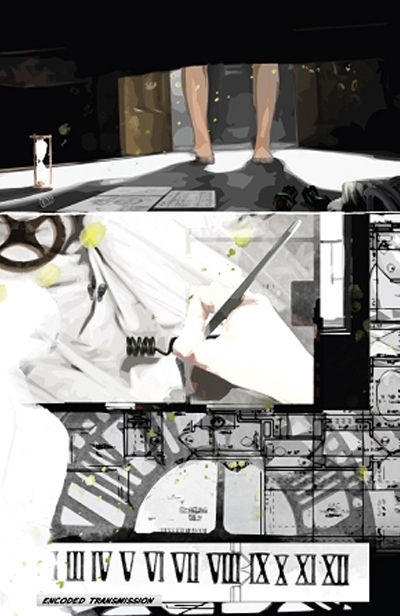 Each track of the album corresponds to a page in the graphic novel, taking the reader through a night’s journey of a dream sequence from beginning to end. VISIT YOUR LOCAL BOOKSHOP AND ASK FOR DELTA BY AH COMICS!